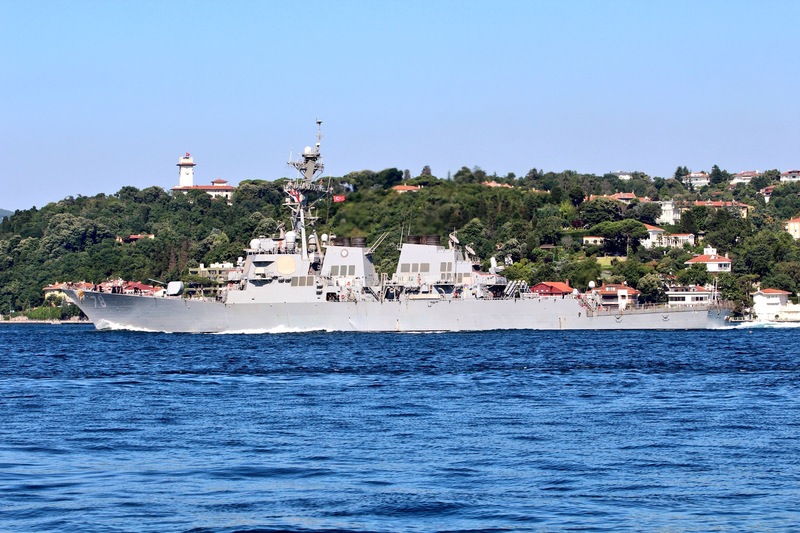 Command ship USS Mount Whitney (LCC-20) and guided-missile destroyer USS Porter (DDG-78) entered the Black Sea over the weekend, crossing through the Bosporus Strait into the Black Sea in support of the Sea Breeze 2018 exercise, U.S. 6th Fleet announced on Monday. 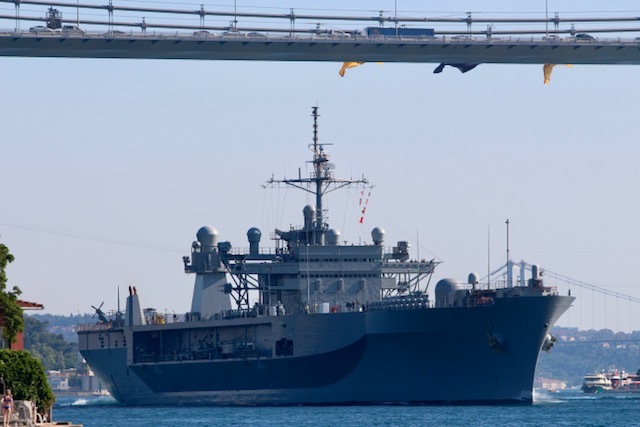 “This year’s Sea Breeze is the first time we will take the staff to sea and embark the U.S. 6th Fleet flagship, USS Mount Whitney,” Matthew Lehman, commodore of Task Force 65, said in a Navy news release. 6th Fleet lists 17 nations as participating this year: Bulgaria, Canada, Denmark, Estonia, Georgia, Greece, Italy, Lithuania, Moldova, Norway, Poland, Romania, Sweden, Turkey, Ukraine, United Kingdom and the U.S. According to a Ukrainian state news report, 29 ships, 25 aircraft and a submarine will participate, including a Turkish submarine that will play the role of an adversary force. Last year the U.S. Navy sent a cruiser and a destroyer to the exercise. This year, in addition to Mount Whitney and Porter, U.S. assets include a P-8A Poseidon maritime patrol aircraft from Patrol Squadron (VP) 10; Marines from Echo Company, 2nd Battalion, 25th Marine Regiment; Navy Underwater Construction Team 1 divers; and members of the U.S. Naval Forces Europe-Africa and U.S. 6th Fleet staff. USNI News has previously noted that Russia had protested the Sea Breeze exercise series since its 2014 annexation of Crimea. The Russian Ministry of Defense has not issued any formal statements yet this year, but Vice Adm. Ihor Voronchenko, commander of the Ukrainian Navy, made clear that Russia was very much on the minds of those involved in the exercise.